Regarded as one of the most flexible, easy-to-use and secure PHP based content management systems, Joomla can be the perfect fit for building your online identity. Right from a personal blog to business portfolio, eCommerce venture, online news/magazine website, podcast gallery or photo-blog – Joomla can serve you aptly for creating a wide range of websites and web applications. The best part of designing your website using Joomla is the availability of custom designed templates. Quite similar to WordPress themes, Joomla templates are ready-to-use website design blocks which can make the process of creating your website a breeze. Whether you intend to create an online marketplace or a community forum or a simple one page blog layout, rest assured, you can find lots of Joomla templates that can thoroughly match your exact requirement. We have handpicked the best multipurpose Joomla templates to get your online identity created with minimum hassle. With lots of premium features, each of these highly flexible templates can be used to create different types of websites according to your requirements. So let’s find out the finest collection of multipurpose Joomla templates that can help you achieve a stunning and professional web design. 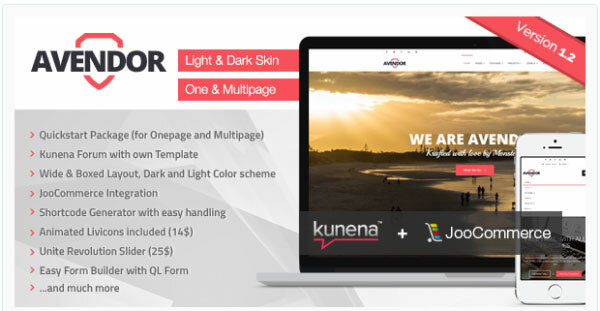 Whether you want to build a one page scrolling website or a classic multi page one with a mega menu or default menu, Avendor offers you an option-packed package no matter what style you choose. This multipurpose Joomla template developed by 4GraFx is best suited for creating business portfolio, personal blog and SEO friendly news websites. You can create an exact demo of their official website with “Quickstart Package” included with theme files. Fully responsive, multilingual, touch swipe and tap supported HTML5 and CSS3 design (Bootstrap 3). Admin Panel to customize the control, feel and look of your website. Parallax Section with easy to use shortcodes. Ability to animate every element on your website. Unlimited color options with template based control. Custom 404 and Offline pages. Over 300 Retina Ready icons. Supports FontAwesome icons, Animated Livicons and Avendor Icon Font. Based on YT Framework v3, TheDaily is clean multipurpose Joomla 3.3.x compatible template with lots of powerful features. It’s fully responsive in nature and has the ability to adjust its layout/resolution based on the device it is being viewed on. This template is equipped with the powerful Mega Menu that allows you to add images, videos, modules on your menu. It comes with a unique Grid Slider on the home page that can be used to display multiple posts tiled in a single slide. TheDaily can be used to create stunning personal blogs, magazine websites, sports news portals and business websites. Unique aesthetically designed Grid Slider on the home page. Boxed and wide layouts with 4 vibrant color schemes (Red, Blue, Orange Green). In-built Mega Menu and Moo Menu support. Features a front-end Control Panel to customize website layout. SEO friendly typography and various module variations. Fully integrated with social media sites. You can directly share your posts without leaving your site. 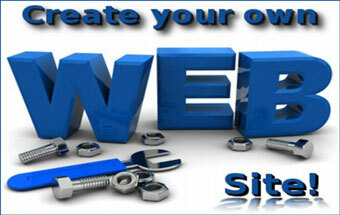 Includes QuickStart Installation Package for creating websites similar to their official demo site. Coruscate is one of the best Joomla templates for creating professional business websites. Moreover, you can use this elegant template for creating your trendy portfolio, news style website and photography blog as well. Built on Bootstrap framework integrated with K2 modules, it has a flat design with clean outlook. Theme Magic admin panel can be used to set your preferred layout with unlimited color schemes. Filterable portfolio that supports Ajax being one of its highlights, Coruscate can fit the bill perfectly for designing a trendy yet professional website. Bootstrap Framework with K2 support. Supports all modern browsers. Response, retina-ready, multilingual and flat design. Different drag-and-drop combinations for home page layout. Theme Magic panel for customizing site layouts and color schemes. Revolution Slider Included. Integrated Mega Menu and shortcode generator. Font Awesome icons and Google Webfont support. Best suited for nonprofit organizations and environmental websites, Venture is a clean and responsive Joomla 3.0.x multipurpose template built on Warp framework. Designed with latest HTML5 and CSS3 technology using built in compression of multimedia files, data URIs and gzip, this clean template can make your website blazing fast. It supports 70+ module combinations including Parallel, Stack and Double module appearances. Fully Responsive, clean and fresh look. Built-in Jevents event calendar, Blog, Donation, Volunteer, Gallery and other page templates. 6 built-in color schemes with unlimited color styling options. 70+ module position combinations. Parallel, Stack & Double appearances. Supports sticky header, scrolling and loading animation with lots of effects for different blocks. Custom designed 404 error page and other offline pages. Rich typography, built-in short codes, icon, badges, module class suffixes. Garbini is a fully responsive, stylish and creative Joomla 3.X template suitable for a host of websites including but not limited to online shop, fashion, clothing and blog. Built on the powerful Helix 2 Framework, it fits perfectly with all types/sizes of devices. Garbini comes with a lot of features that can help you create your online presence with minimum effort. Some of the key features that Garbini brings you include Revolution Slider, Roksprocket, Drag & Drop Layout Builder, Google fonts, Products Slideshow, Font Awesome and Bootstrap support. Quickstart Package is included with this template for free so that your website can go live within minutes. Responsive layout, multilingual and cross browser compatible. 1, 2, 3 and 4 column layouts. Wide and boxed layouts. 6 preset color schemes with options for unlimited color customization. Admin options panel with live customizer. Helix 2 framework with in-built JoomShopping. 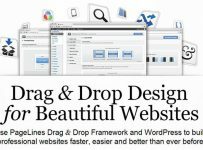 Drag-&-drop layout builder. Unlimited module positions. Includes Revolution Slider and Rocksprocket. Individual product sliders for different product types. Product grid with sort and filter ability. 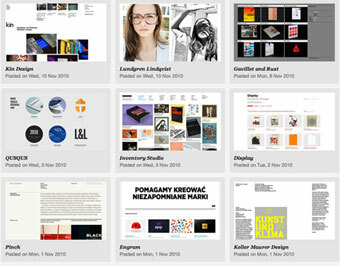 Supports single page and multi page blog layouts. Supports Mega Menu with icons and images. Integrated Google Maps, Font Awesome icons and Google Webfonts. Kallyas is the highest sold premium Joomla multipurpose template in the world. Regarded as one of the most complete Joomla template, Kallyas is based on Bootstrap and it is integrated with Virtuemart. It’s SEO ready and boasts of over 100 module variations. It comes with unlimited color schemes, variety of sliders, different home page variations, multiple portfolio layouts and many more exciting features. Kallyas is best suited for business, corporate, portfolio, online shop, fashion, hotel and photography related websites. Responsive, multilingual, cross browser compatible. Both Joomla 2.5.x and 3.0.x compatible. Comes with 7 premium sliders – iOS Slider, Revolution Slider, iCarousel, Flex Slider, Nivo Slider, Wow Slider and Cute Slder. 6 Homepage layouts with different module combinations. Around 70 modules positions or various combinations. Different Portfolio Layouts (using Joomla API) – Carousels Layout, Sortable Layout and Category Layout on multiple columns. Custom 404/offline page templates.Newsletter module based on Mailchimp. Quick Install package with demo data & standalone version included. Compatible up to the latest version of Joomla 3.3x, Craftsmen is conducive for creating any creative website. Be it corporate, business, freelancer, blog, portfolio or even a news/magazine website, you can trust Craftsmen to be equally competent in every aspect of website designing. It brings you a clean and responsive outlook with variety of features including 8 uniquely designed home page layouts. Craftsmen uses Helix 2 framework and it is coded in LESSCSS. It includes lots of premium features like Mega Menu, Video/Image Parallax module, Portfolio module, Revolution Slider, variety of Icons, shortcode generator, transparent/colored/white headers, UI Kit, Drag-&-Drop layout builder, Rocksprocket and stunning animation effects. 8 different pre-made home page layouts. 15 customized color schemes. Unlimited color options with cool animation effects. UI Kit with lots of features. 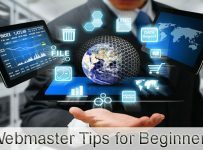 Quickstart Package included. Supports Mega Menu, Google Maps, Google Fonts, Stroke 7 Icons, Custom Flaticon Set and Font Awesome. Inbuilt pricing tables and shopping carts for eCommerce integration. Possibility of using different transparent/colored headers on each page. 23 pre-created module variations. Possible to create unlimited module combinations with shortcode support. Kindly note that all the templates that have found a mention here in this article are fully responsive, cleanly coded, cross-browser compatible, SEO friendly and supports the latest version of Joomla CMS.